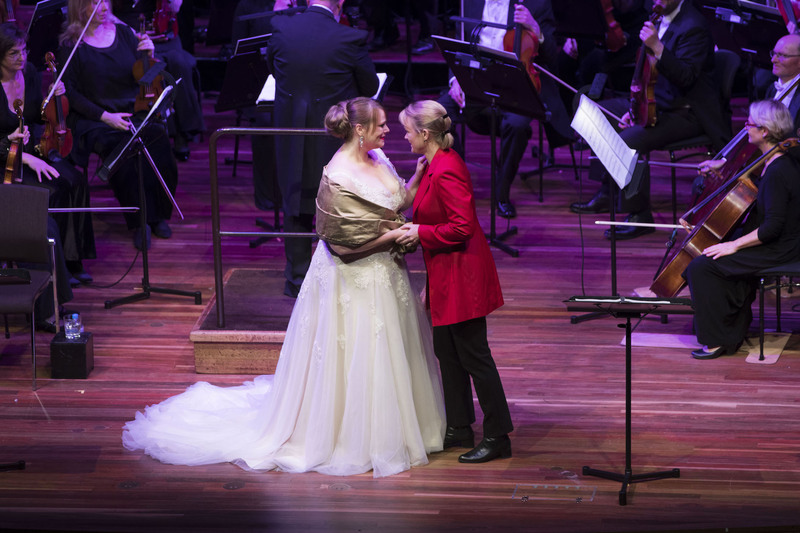 Victorian Opera succeeded in meeting the sky high expectations for their third Bellini concert starring Jessica Pratt, presenting an evening of sterling musicianship and pairing Pratt with a colleague of similarly exceptional talents. In many ways, The Capulets and The Montagues makes for an ideal concert presentation and yet there also limitations. Bellini’s music is beautifully melodious, and the score is wonderfully enjoyable even if only small sections are well known. Working from Luigi Scevola’s play, Bellini’s librettist Felice Romani condensed Shakespeare’s expansive canvas for Romeo and Juliet down to a mere five principals, making the adaptation very easy to follow in concert. It is surprising that the rousing overture is not heard more often in concerts, such is its instantly engaging melodic nature. Indeed, much of the storytelling is accompanied by inspiring music, and yet the concert setting necessarily constricts the stage action, creating an underlying sense of missing out on the full experience. 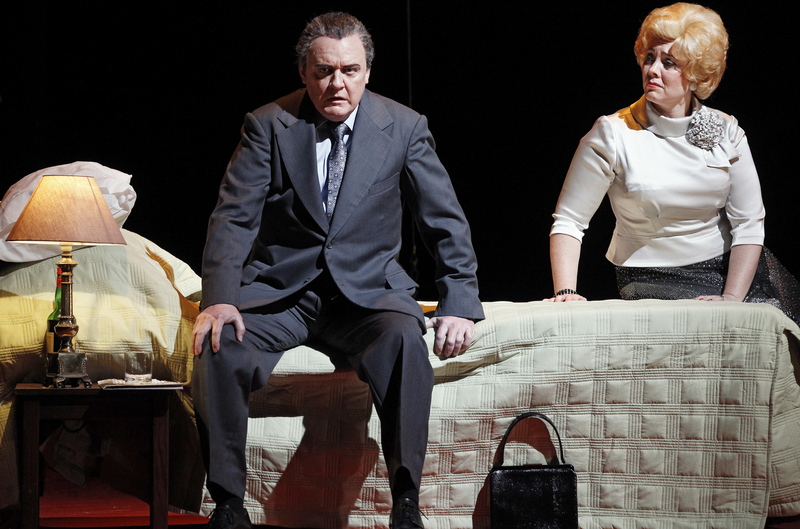 This is not to say that the principal singers did not throw themselves whole-heartedly into their roles; the emotional aspects of the story were fully realised to deeply moving effect. A curious aspect of these concerts has been the absence of a credit for director. Pratt’s hallmark practice of performing concert roles as if for a full production has inspired her fellow singers to give more in their performances rather than to stand and sing in typical concert formation. This style has reached its zenith in The Capulets and The Montagues, aided by singers who were very familiar with their material. 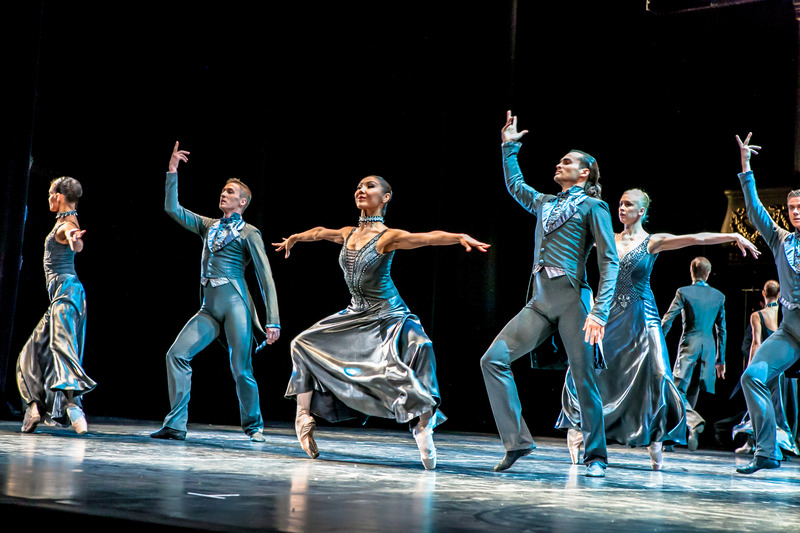 This quality compensated admirably for the absence of scenic staging and full company action, resulting in an involving and engaging evening. Conducting Tasmanian Symphony Orchestra, maestro Richard Mills brought Bellini’s score to life with luscious colour and stirring drive. Melina van Leeuwen contributed lovely work on harp, and Andrew Seymour’s haunting clarinet solo in act two was of outstanding quality. Given the opera’s focus on warfare and armies, the male chorus was of particular prominence; in fact, they had an extended scene to themselves at the top of the night, at which time their excellent singing established the high standard to come. A smaller contingent of female chorus joined the men to provide an angelic sound for Juliet’s funeral procession. Marking the sombre events of act two with a shimmering black asymmetric poncho, Pratt conveyed Juliet’s courage in the face of patricidal brutality, singing “Morte io non temo, il sai” with tender poignancy. Local audiences may not previously have heard of mezzo-soprano Caitlin Hulcup, but they are unlikely to forget the name after her extraordinary performance in The Capulets and The Montagues. An Australian singer who is enjoying a rich and varied career overseas, Hulcup’s performance is a revelation, with full credit going to Victorian Opera for casting her as their Romeo. Clearly familiar with the role, Hulcup performed off book, throwing herself into the role to great effect. Possessing a full-bodied voice of lustrous beauty, Hulcup is also clearly an excellent actress, singing the role with vibrant, engaging expression. 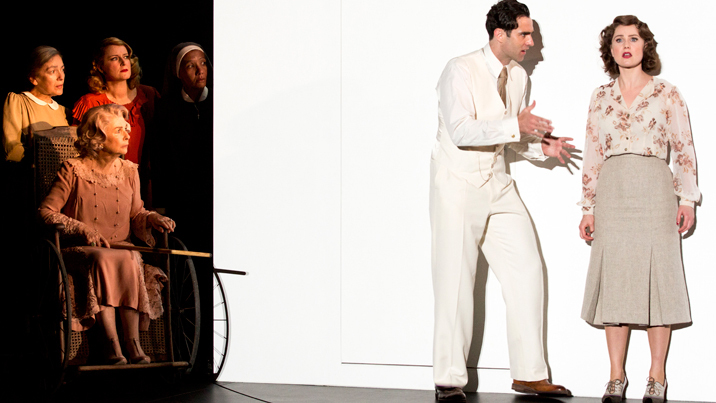 Taking the trousers role literally, Hulcup began with a bright red jacket over black shirt and pants in act one, before switching to a black jacket for the more serious tone of act two. The heart of the opera is the extended duet scene of Romeo and Juliet in act one. Hulcup and Pratt delivered dazzling, riveting work in this sequence, clearly establishing the scene as the evening’s most memorable. In act two, Hulcup’s romanzaat Juliet’s grave, “Deh! tu, bell’anima,” was truly moving. Finally, the sight of Romeo and Juliet’s lifeless intertwined bodies was affectingly staged, all the more striking for the evident respect of the two artists for each other. Continuing his development as a leading man, tenor Carlos E. Bárcenas gave another dynamic performance as Tebaldo, the opera’s equivalent to Tybalt. The sweetness of Bárcenas’ singing imbued the vengeful young man with a sympathetic air, successfully clouding the role in regard to straightforward villainy. Singing splendidly in solo work, Bárcenas was occasionally swamped by the orchestra and chorus in full company work, which was no doubt in part due to the orchestra being on stage rather than in the pit. 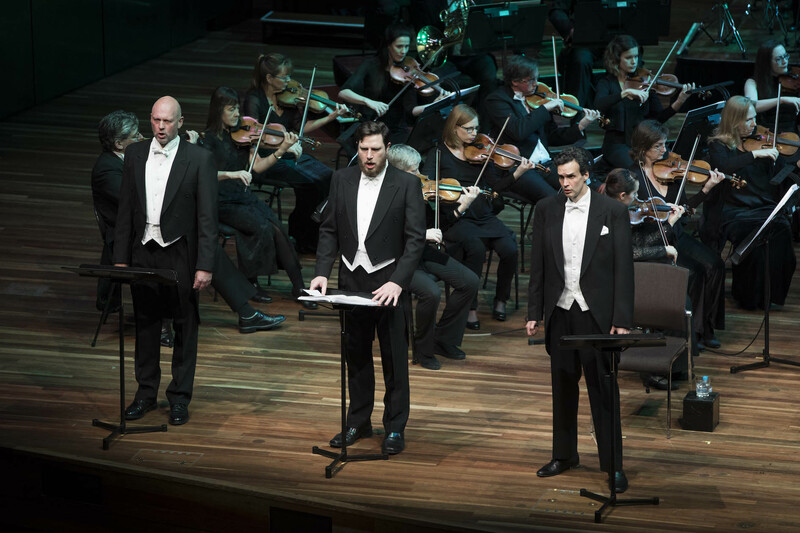 Making his debut with Victorian Opera, Australian bass David Parkin showed increased maturity and presence, his rich, unwavering bass voice blossoming with warmth and colour. Parkin may have looked a little young as Juliet’s father, Capellio, but he carried the weight of the Capuleti family with distinction. While renowned bass Teddy Tahu Rhodes gave solid support as Lorenzo, doctor to the Capulets, his key act two scene opposite Hulcup’s Romeo was somewhat undercooked. 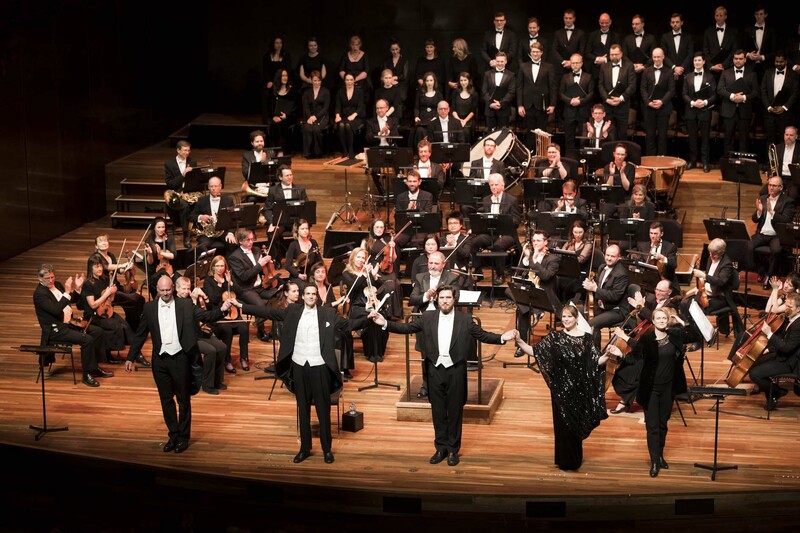 Having stated that this concert was the final in the series, fingers are crossed that Victorian Opera will continue to invite Pratt to perform in Melbourne. Stay tuned for Victorian Opera’s 2019 season announcement on 10 October. 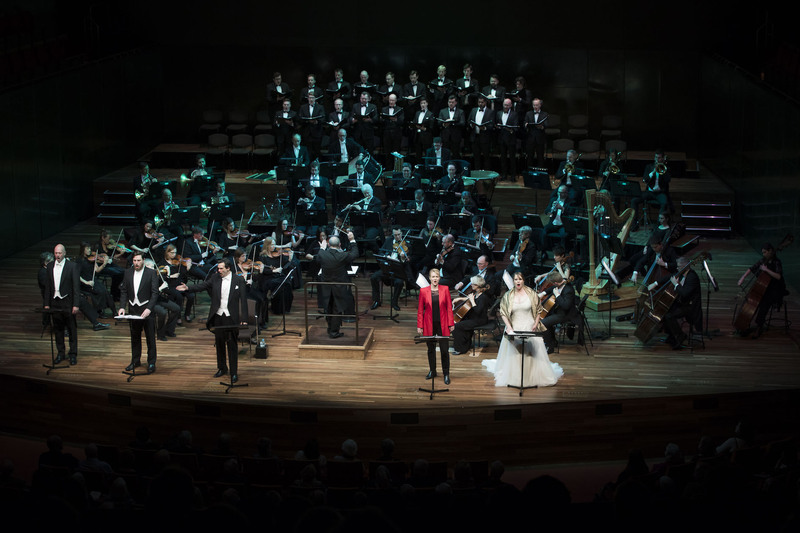 The Capulets and The Montagues played at Hamer Hall, Arts Centre Melbourne 7.30pm Friday 14 September 2018. The program for The Capulets and The Montagues can be read online. I love your crits. Please keep sending them to me. Thanks, Liz. Some big shows coming up, so stay tuned!